Trafalgar Square T-Mobile Flash-mob Karaoke! Oh it's fun working in London. Walking home from work last night through Trafalgar Square I bumped into the filming of a TV advert for T-Mobile and decided to join in the fun. This is the follow-up to their wildly successful Dance advert, where commuters in Liverpool Street Station in London just seem to break out into a fancy coordinated dance routine. The theme of this one was 'Sing' and it turned into a mass karaoke. All they did was to do was post a YouTube invite and an estimated 13,000 people turned up. I got handed a flyer in the morning going to work and totally forgot about it. Then on the way home I bumped into the beginnings of the event so decided to hang around and join in. It turned out to be good fun. TV personality Vernon Kay was the comp?e and did his job competently. Zillions of microphones were handed out and after a count-down the singing began. They started and ended with 'Hey Jude', which I remember the first time around and is a great crowd song and did an assortment of more modern songs in between. Just as a buzz factor, the singer Pink popped up in the middle of the crowd not far from me. Making ads that stand out and get remembered is a rare thing, but this theme has worked. The whole thing was dreamed up by ad agency Saatchi and good for them because it captures the zeitgeist of flash mobs and taps into the great British eccentricity of not minding appearing silly in public. Letting go and just having fun seems paradoxical when you consider the reserved British stiff-upper-lip stereotype but that's just how many of us are. Both at once. It was reported in the Daily Telegraph today and the advert will be shown this Saturday on ITV at 9pm. The fun question of course is whether one will be appear in the advert. Lots of people were waving like mad whenever the camera pointed at them, but I just enjoyed being there. I've also just heard that I may be on TV Monday too. 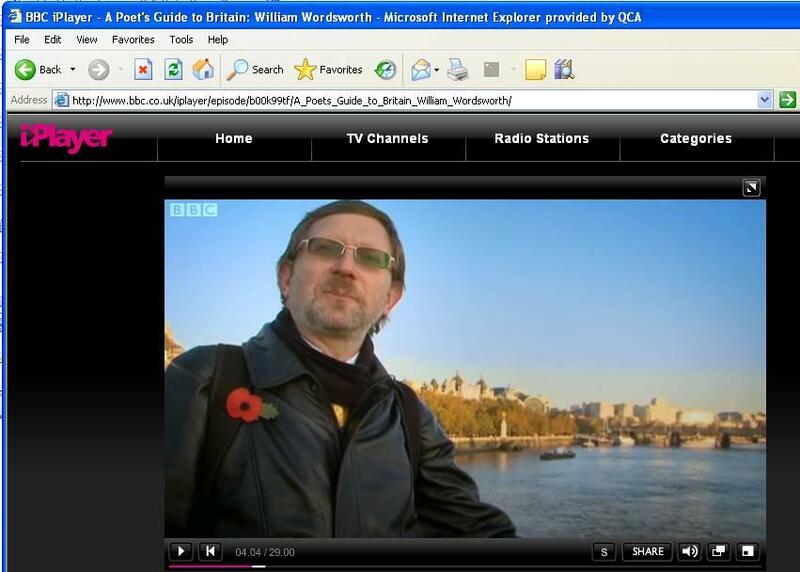 I was interviewed months ago for a poetry programme about Wordsworth's 'Composed upon Westminster Bridge'. In the heat of the moment I agreed to read the poem whilst they filmed me. Could be embarrassment time. Well, that's my Warhol moment over and done with. Downhill from here, I'm afraid. 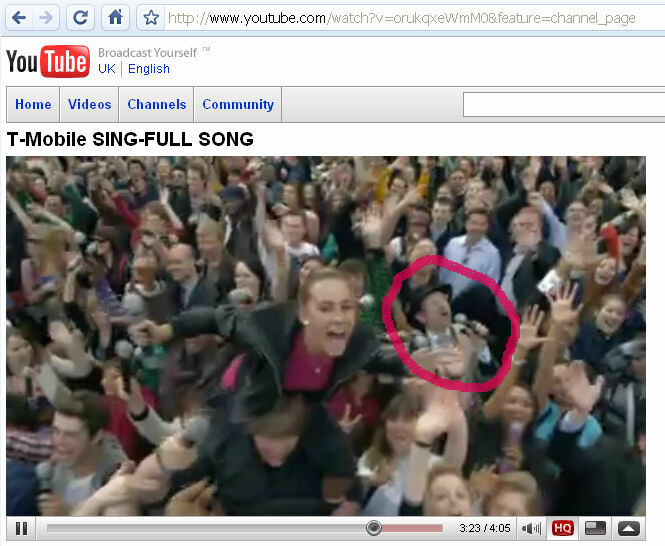 Couldn't quite see you on the video but will watch out for you on the adverts. Always proud of my big brother - well done on your moment of fame! I'm sure you know it!